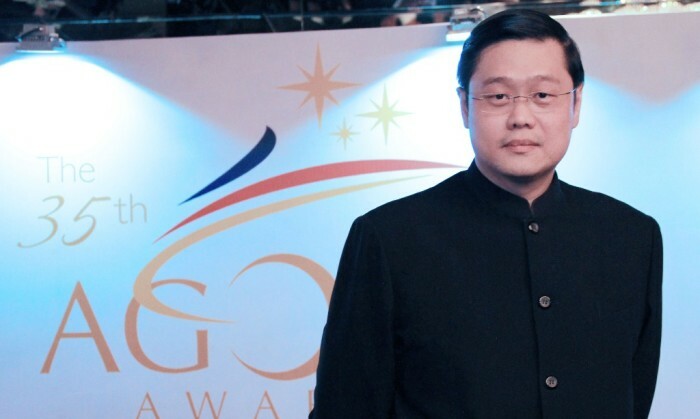 ABS-CBN chief digital officer Donald Patrick Lim was named the first awardee of the Agora Award for Outstanding Achievement in Marketing Communications, given by the Philippine Marketing Association (PMA). Lim, one of the country’s founding fathers of digital marketing, was cited for revolutionizing digital advertising in the country. In his acceptance speech at the 35th Agora Awards, Lim paid tribute to his mentors who shaped him into an effective marketing practitioner. Aside from thanking his parents and former bosses, he cited ABS-CBN president and CEO Charo Santos-Concio, who, he said, taught him that the greatest marketers are the greatest storytellers. “In ABS-CBN, Charo taught me that everything starts and ends with a story. And no matter how great you are at storytelling, at the very end, you have to put the Filipinos at heart. Everything I create in the digital space, anything I do in ABS-CBN will always be in the service of the Filipino,” said Lim. Lim joined ABS-CBN in June 2013. He graduated with a degree in marketing from the Ateneo de Manila University, got an MBA with distinction from Murdoch University, and finished his Doctor in Business Administration from the University of Phoenix. Lim is also the founding president of the Internet and Mobile Marketing Association of the Philippines. His journey in the digital world started in 2005 as the CEO of Yehey! Corporation. He was the managing director of McCann’s digital arm MRM Manila before joining ABS-CBN. Now on its 35th year, the Agora Awards is the beacon of Filipino marketing excellence that spotlight admirable qualities of versatility, innovativeness and ingenuity. Through the Agora, the Filipino is hailed as a world-class marketer endowed with a proven flair of out-of-the-box thinking and trailblazing achievements. The app is the first bilingual product to be offered in the 171-year history of the publication. .. The energy drink brand plasters heat-sensitive stickers in strategically located bus shelters, paired with posters to get across a..